This week I wrote about a recent struggle with balance. The work side of life had been tipping the scale a bit more than I like and, as a result, I felt frustrated. After writing about it I felt good; Sean, the kids and I had a fun movie night, I stopped working at 3 one day, and we made plans with the kids for the upcoming weekend. Those feelings of imbalance rose to the surface again yesterday. Two friends commented they had read my blog to find out what I have been up to lately. I also had dinner with three special friends last night, whom I have not seen in three months. I realized how much I have missed them, and felt disconnected with my lack of contact since December. Sean and I discussed how I was feeling when I returned home last night, and I woke with the feeling again this morning. What I realize is that I am being hard on myself about something I can’t change: the past. I can only look back, recognize how I got to where I am now, how I feel as a result, and make a change today for the future. Feeling frustrated with myself over something I can’t change is wasted energy. Recognize while I fell out of balance, focusing on my business as I started the new year was essential. Schedule dinner/social time with a few friends I miss seeing. Call a friend who moved away to catch up. These things, coupled with the plans Sean and I have with the kids, is what I need to focus on as I move forward. While I wish I had spent more time with friends and stayed in better touch, I needed to focus on work. Now that there has been early success in the year, and I have a lot of client work to keep me busy, it’s time to create a better balance. Today and this weekend is devoted to working on balance and looking forward–not back. As I start the weekend, I have found answers to what has been frustrating me, and I know where I am going as I look towards the weekend and next week. Even though I have several posts to write and lots of “blog learning” to do….it’s Big 12 Tournament time and Thing Two loves to watch the games in a sports bar. It’s just way more fun surrounded by other fans than just watching it by ourselves at home. So, I’m unplugging for several hours to make memories with my kid. Time well spent. And if the other stuff doesn’t get done, I can live with that. Great attitude and perspective Kimberly! That’s a wonderful approach; it helps to revisit the past for lessons from which we can learn but, in the end, it’s difficult to move forward if we’re always looking backwards. Balance! Thanks for the comment, Brook. Looking forward is a better use of time and energy–agreed! I think your balance is probably the healthiest I know. Of course, I don’t really *know* it that well, but it sure *seems* healthy. I hope you’re having a great weekend. 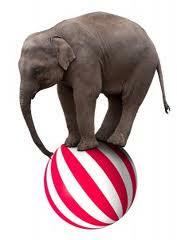 Your energy and life-juggling skills amaze me. Thanks for the kind words, Joe. It was definitely a busy, but fun weekend–with a nice healthy balance, too! Love your thoughts on balance… which is something I struggle with. I am working on time management though to help fit things in! Thanks for sharing =). Thanks for the comment! Time management is key as is an organizational system. I highly recommend OmniFocus. Here’s a review I wrote on the app.